Pancreatic cancer has one of the worst prognoses -- with a five-year survival rate of 9 percent -- in part because there are no telltale symptoms or non-invasive screening tools to catch a tumor before it spreads. Now, University of Washington researchers have developed an app that could allow people to easily screen for pancreatic cancer and other diseases - by snapping a smartphone selfie. One of the earliest symptoms of pancreatic cancer, as well as other diseases, is jaundice, a yellow discoloration of the skin and eyes caused by a buildup of bilirubin in the blood. The ability to detect signs of jaundice when bilirubin levels are minimally elevated - but before they're visible to the naked eye - could enable an entirely new screening program for at-risk individuals. 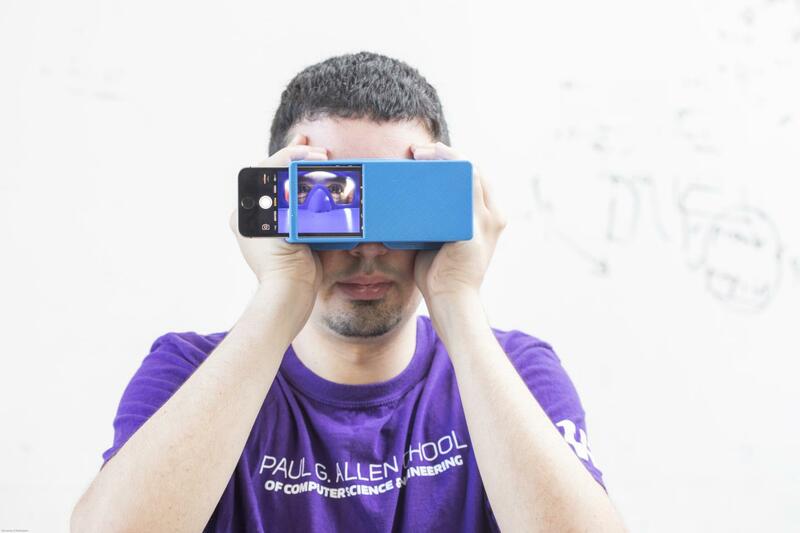 BiliScreen uses a smartphone's built-in camera and flash to collect pictures of a person's eye as they snap a selfie. The team developed a computer vision system to automatically and effectively isolate the white parts of the eye, which is a valuable tool for medical diagnostics. The app then calculates the color information from the sclera - based on the wavelengths of light that are being reflected and absorbed -- and correlates it with bilirubin levels using machine learning algorithms. To account for different lighting conditions, the team tested BiliScreen with two different accessories: paper glasses printed with colored squares to help calibrate color and a 3-D printed box that blocks out ambient lighting. Using the app with the box accessory - reminiscent of a Google Cardboard headset -- led to slightly better results. Next steps for the research team include testing the app on a wider range of people at risk for jaundice and underlying conditions, as well as continuing to make usability improvements - including removing the need for accessories like the box and glasses.